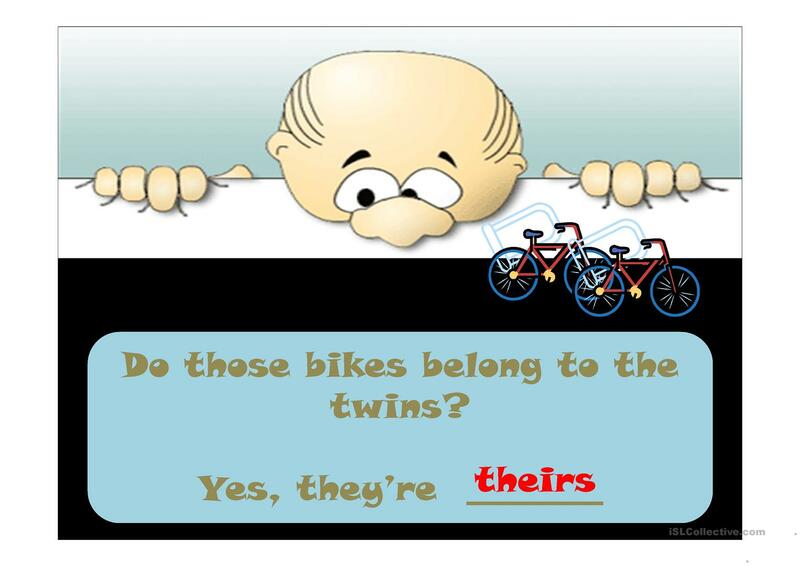 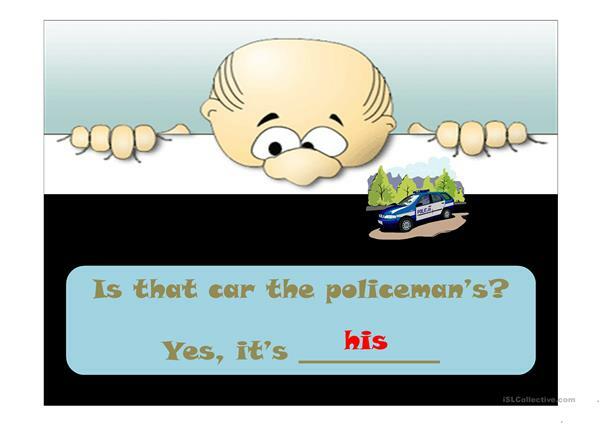 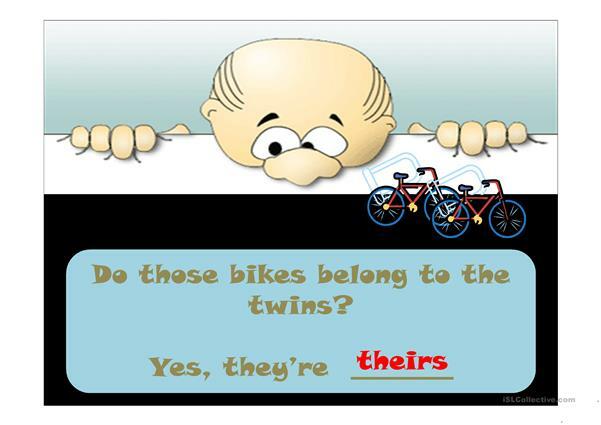 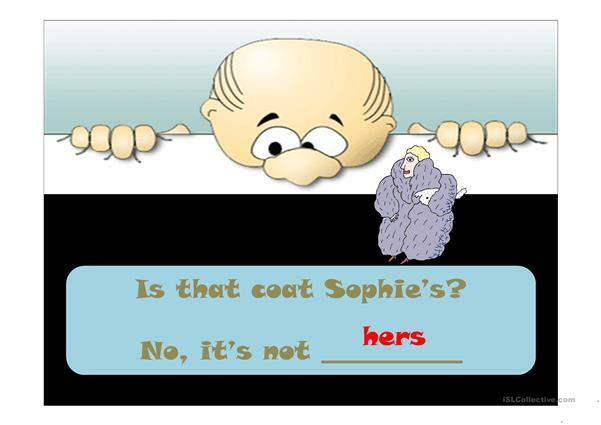 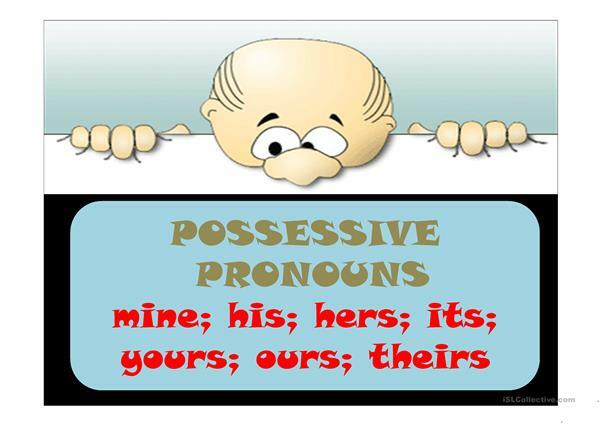 24-page PPT in which students have to find the correct possessive pronoun in each sentence. The above downloadable teaching material is best suited for high school students, elementary school students and adults at Elementary (A1) and Pre-intermediate (A2) level. 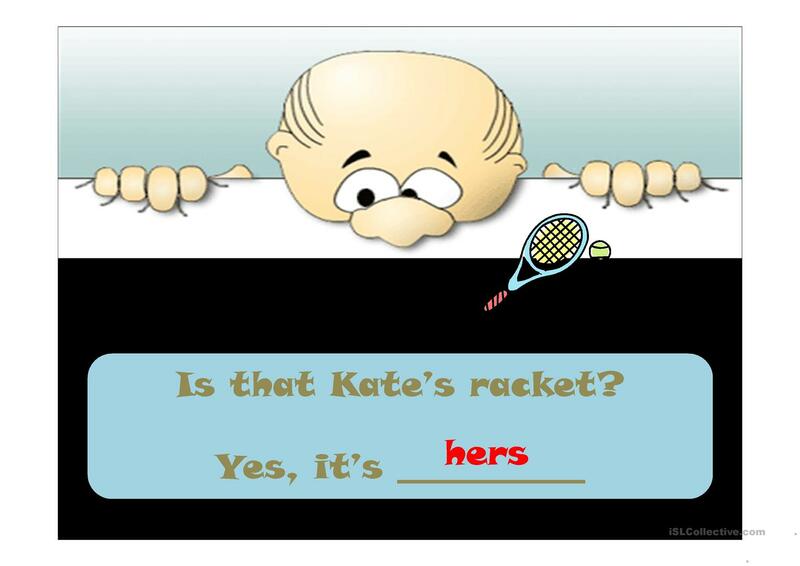 It is a useful material for teaching Personal pronouns in English, and is useful for enhancing your groups' Reading skills. The answers are provided, too.